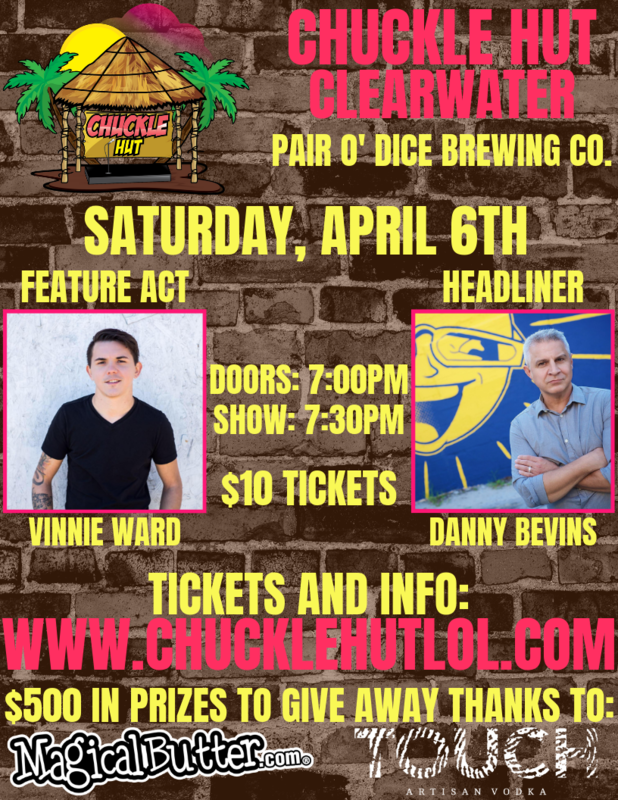 Chuckle Hut brings the laughs and prizes to Pair O' Dice Brewing Co. in Clearwater on Saturday, April 6th! Join us for a night of fantastic beers, great comedy and awesome giveaways! - Bottles of Touch Vodka's new sativa infused vodka and gin, Nirvana!